[map] [street view] East of AL-113 in Escambia County, west of Foshee, on the southeast corner of AL-113 and Foshee Roads. [Picture] Image from an Insignia HD portable showing the RDS PI (call sign) and Radio Text fields. [Picture] Image from a Mazda car stereo showing the RDS PI (call sign), PTY (format) and Radio Text fields. 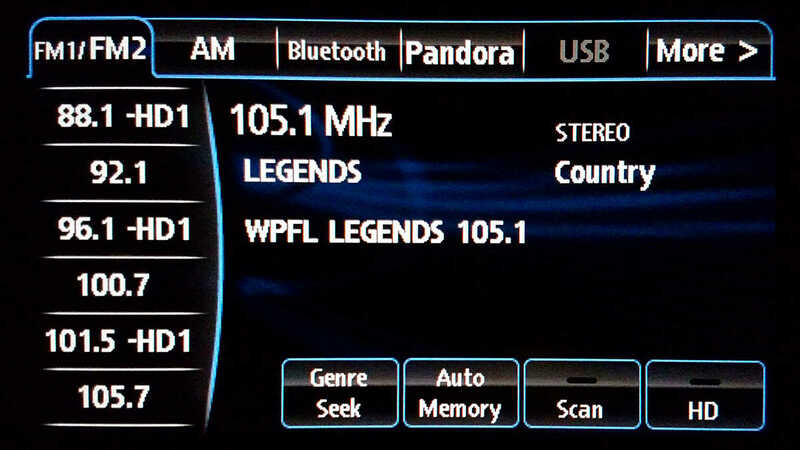 105.1 was a class A station allocated to Century, Florida in the 80-90 docket. It came on the air as the FM companion of 1090 AM in Cantonment. Used WKGT calls and had a nostalgia format. The station upgraded to class C3 and moved the tower as close as it could to Pensacola, although it still fell short of putting an adequate signal into the urban area. The situation was aggravated by the FCC putting a C2 facility in Panama City on the same frequency, causing considerable interference in the area they were trying to target. The station was off the air for a good while, then back on with satellite fed adult contemporary music. 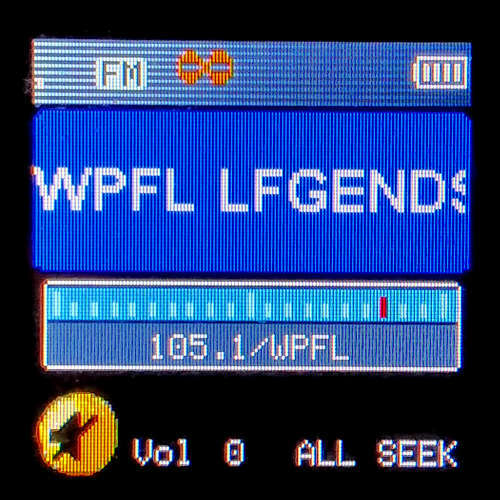 In the station's most recent incarnation as WPFL, it seems to have settled on the idea of providing local service to Century, Flomaton, Atmore and the Brewton areas, although the calls hint at Pensacola. In the summer of 2008 the station dropped ABC's Real Oldies for ABC's Real Country satellite format, then moved to a classic country format as "Country Legends". Although this station's signal is mostly outside that covered by the Gulf Coast listings, it puts enough of a secondary signal into parts of Escambia County, Florida and Baldwin County, Alabama, that it will remain in the listings. Although it primarily serves Escambia County, Alabama, now, the station is still licensed to Century, Florida.